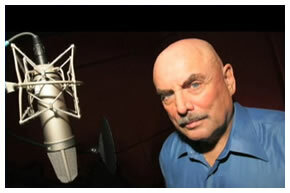 “Voice-over great Don LaFontaine passed away just before 2PM on September 1, 2008 at the age of 68. Nita, his wife of 20 years, was with him, as was his best friend, Paul Pape. Don was under the care of a very dedicated team of physicians at Cedars-Sinai Medical Center in Los Angeles. Unfortunately, his treatments left him depleted. In the last week of his life, Don fought hard and appeared to be stabilizing but he ultimately succumbed to the many complications brought on by the side effects of the treatments. Don’s wife, Nita, and his daughters Christine, Skye and Elyse wish to thank everyone for the overwhelming outpouring of love, prayers and support that they have received from all over the world. In addition to his achievements as a legendary voiceover artist, he was a wonderful father, generous friend and most loving husband. You’ve heard him…everybody has heard him, if nowhere else, at least on the Geico commercial spot. He did over 5,000 movie trailers, plus hundreds of thousands of other sound files of one kind or another. It’s really sad…I’m going to miss his voice. Father Jonathan Morris, a Fox News Religion Contributor, recently wrote a piece called “A Priest’s View of the Palins,” which you need to read. The man is brilliant, and writes very clearly. If you haven’t heard about it, the teleprompter did not stop scrolling during the applause points Wednesday night during Guiliani’s speech and during Palin’s…they had to do most of it from memory. If you ever have to do a speech of any kind, go back and watch those two…they show you how the pros do it, that’s for sure! For those of you who think John McCain might check out in the next four years, remember that his mother was at the convention…and is 96 years old! Sure, the North Vietnamese hurt him pretty bad…but he’s not slowed down since he came back from there over 35 years ago. I wouldn’t count this man out! You are currently browsing the The Old Gray Cat blog archives for the day Friday, September 5th, 2008.